PLEASE NOTE - IMPORTANT - Items made with this pattern are for personal use only - yourself and/or for gifts. You'll receive the link to your Email specified in your Etsy Order form. You'll be able to download the files as soon as your payment has been confirmed. Purchase with confidence - I have made 1,000's of Fabric Organizer Bins/ Holiday Baskets using the pattern and methods in this tutorial. 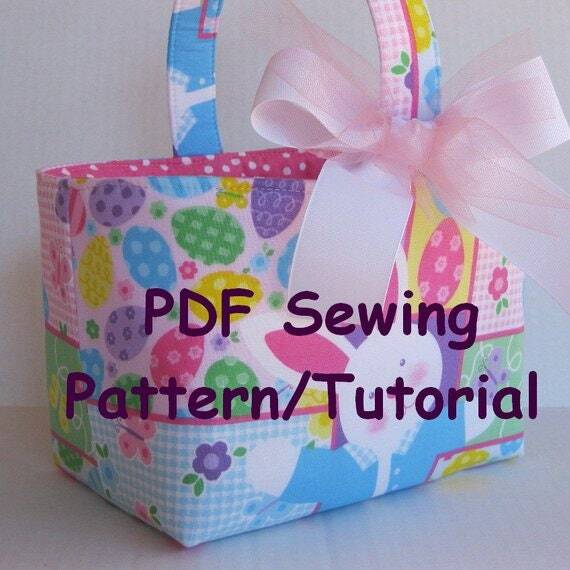 · PLEASE NOTE - VERY IMPORTANT - THIS PATTERN/ TUTORIAL does not include the actual pattern pieces - but the measurements for you to make the pattern/template. Interfacing - the tutorial shows to use Pellon 70 - that is a heavier weight - I have also used Pellon 926 - which is lighter weight. Fusible Fleece - there are 2 different fusible fleece weights available - Lighter Weight is Pellon 987F or Heavier Weight is 971F. I am available thru convos if you should have any questions when making your bins or baskets. SEWING PATTERN/TUTORIAL CANNOT BE RETURNED OR REFUNDED. This pattern is designed by Baffin Bags. All designs are copyrighted 2011, all rights reserved. No selling or sharing of the actual pattern is permitted. We LOVE IT! What an amazing job!